For the perfectly poached chicken breast every time: wash the chicken and place in a medium saucepan, then cover with cold water by 1 inch. Place on the stove and turn the heat to high. Bring to a boil. Cover and remove from the heat. Let stand for 15 minutes to cook through. 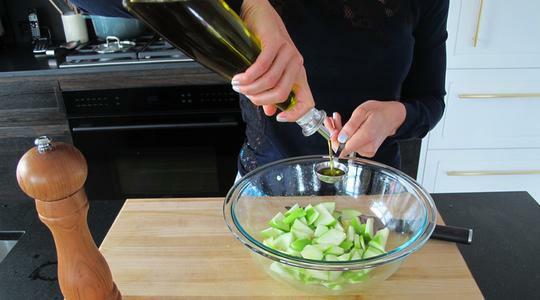 Using tongs, transfer the chicken to a plate to cool. (The chicken can be poached up to 1 day in advance and refrigerated.) Discard the water. Meanwhile, take out a large bowl. 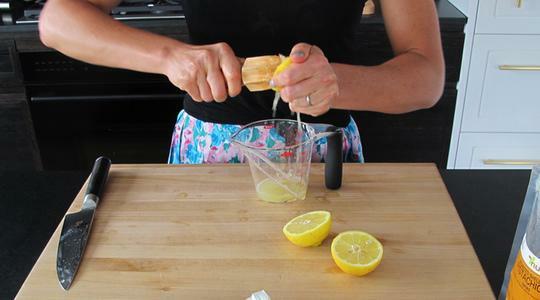 Juice the lemons, measure ¼ cup, and pour into the bowl. 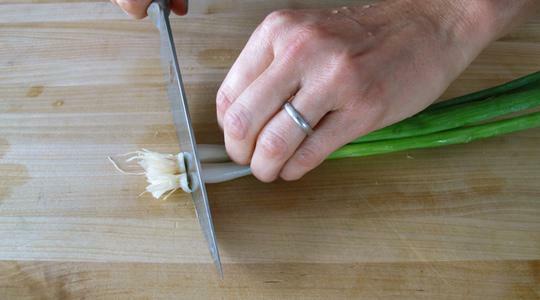 Cut off the roots from the scallions and peel off and discard the outer membrane. 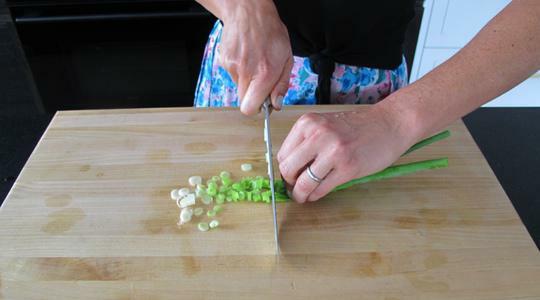 Wash then thinly slice the white and light green part into rounds. 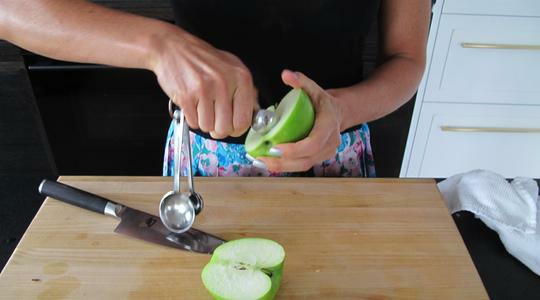 Cut the apple in half and remove the core with a round 1 teaspoon-size measuring spoon or melon baller, if you have one. 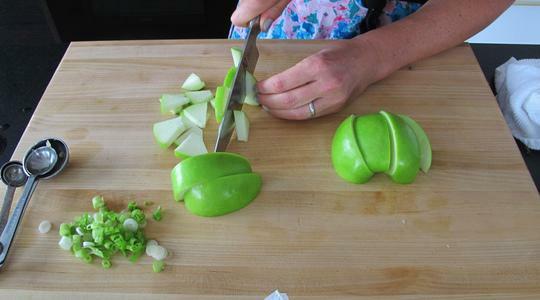 Cut each half into quarters, then slice crosswise into small pieces. 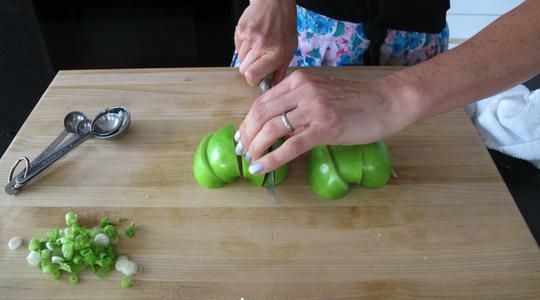 Add the apples and scallions to the bowl along with the oil, salt, and pepper (about 12 turns on a pepper mill). 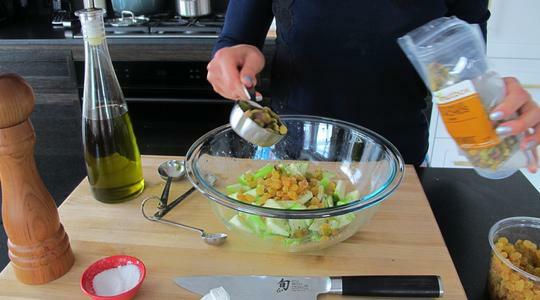 Add the pistachios and raisins. Toss. 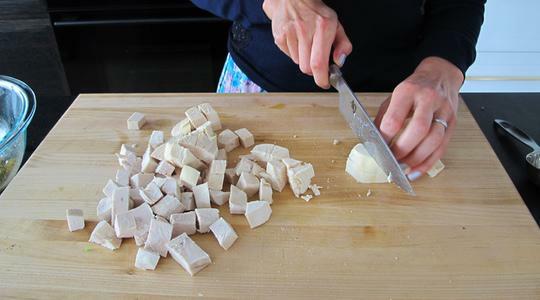 Cut the cooled chicken into bite-size pieces and add to the bowl. 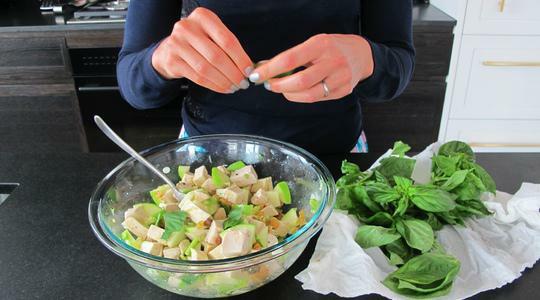 Tear the basil and add. Stir everything together.